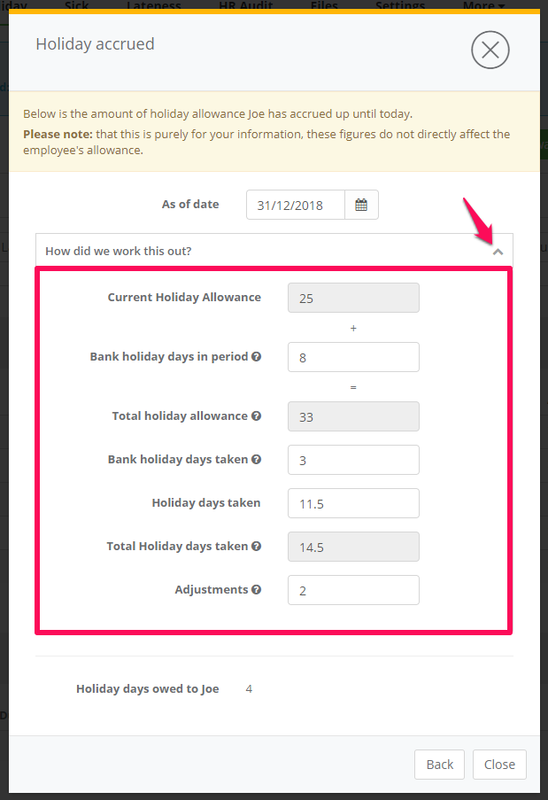 You can view an employee's accrued holiday allowance at any time. To do this, navigate to your staff directory and locate the staff member for whom you would like to view this information. Once you are on the staff member's profile, navigate to their holiday tab. This section houses all information relating to the staff member's pending, upcoming, taken and cancelled or rejected holiday. Click on see accrued allowance. 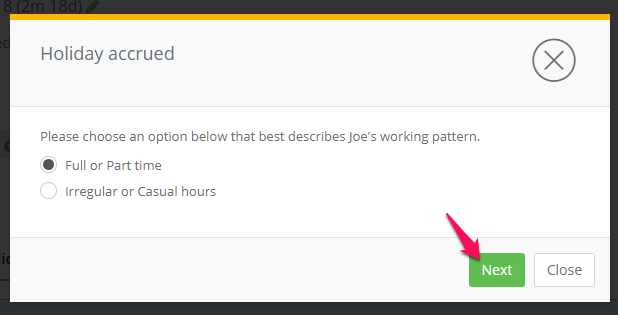 This will prompt a new dialog box to appear which asks you to choose an option that best describes the staff member's working pattern. This will either be full or part time or irregular or casual hours. A new dialog will appear. Here, you will need to select a date you wish to use for calculation. A calculation of days owed to either the staff member of the company, depending on the date you entered, will appear at the bottom of the box. To see how this was calculated, click the arrow next to how did we work this out? 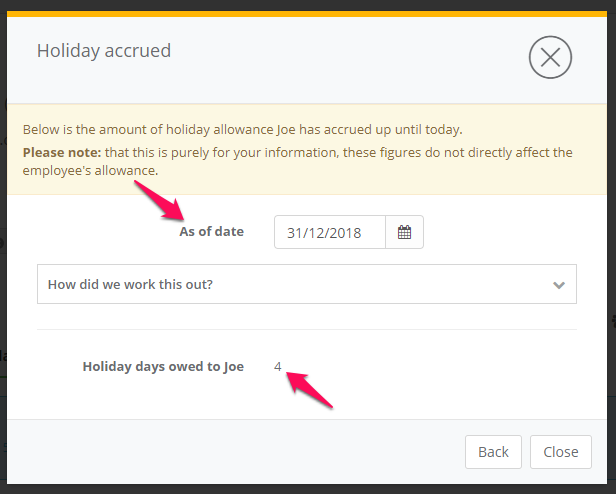 A new section will appear detailing the calculation of the accrued holiday. NB: This is purely for your information. These figures do not directly affect the employee's allowance. If you would like to calculate accrued holiday for yourself, check out our holiday calculator.